Price isn’t an issue as long as you get the best features. 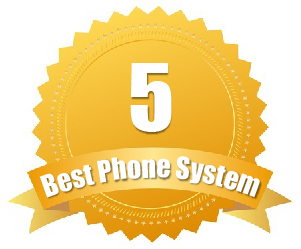 You want that small business phone system that offers you as much as possible – from faxing to call recording and more. While some companies charge extra for these advanced features, some may even include them for free. Regardless, you are tech-savvy and won’t settle for anything less than the absolute best. We compared each service provider to find the plans that offered you maximum features and even those off-the-wall features you won’t find anywhere else. Ring Central is by far one of the most powerful virtual phone system providers. They are feature-rich, affordable and give you maximum bang for your buck. Also, they are one of the most reliable providers – so you get all of the features without sacrificing things like call quality or reliability. 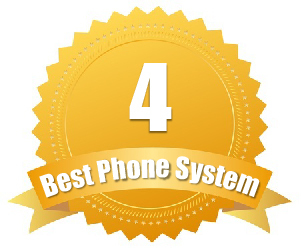 They offer 40 features for free including the standard three-way calling, caller ID, call forwarding, etc. They also offer advanced features such as inbound and outbound faxing via their internet dashboard – something other providers cannot brag about. Just some of the features that set them apart from the rest include their HD video conferences – also known as RingCentral Meetings. This eliminates the need for a secondary web conferencing tool. Also, users can add up to as many as 50 employees or vendors to the video meeting – allowing companies to literally operate from anywhere in the world. They also offer web click to call, HD voice, voicemail to email, mobile apps, softphone, phone queues and more. You can set up a professional greeting and integrate with CRM software as well as other third party apps to get the most out of your Ring Central plan. To enjoy all of the features Ring Central has to offer, you will want to sign up for their Office Plans. The Professional Plans do not come with the advanced features and lack video conferencing. Office Plans range from $24.99 per user per month to $44.99 per user per month depending on how many toll free minutes and conferences you need. Each comes with unlimited local and long distance calling. Try it for free first. If you are not sure if Ring Central is right for you, try them with a free 30 day trial. Phone.com offers an excellent virtual phone system for small and medium-sized businesses. Their affordable pricing still allows small business and even home office users a chance to get those enterprise-level features without paying for it. One of our favorite features is the “click to call/call me” feature. This can be put on a website for a business and allows a person to automatically connect to the company. Furthermore, Phone.com offers global numbers, so companies can set up phone numbers in other countries and forward them to their Phone.com account using local rates instead of international charges – talk about a great money-saving tool too. They offer 40 features for free, including the standards like Ring Central. Also, you ca get additional features (for an added cost) that include premium hold music, professional records, voicemail transcriptions, call analytics, iNum, call recording, etc. Phone.com offers you a Base Plan, which is $9.99 per month for 100 minutes and 3.9 cents per minute after. You can also add Unlimited Minutes extensions for an additional $23.99 per month for unlimited local and long distance calling. This unlimited plan also includes unlimited incoming toll free minutes – the only provider to include toll free minutes in their unlimited plan. Get 20 percent off your base price. Now you get the features of Phone.com and the affordability with 10 percent off if you sign up for Phone.com today. Use this link and the coupon code: SPECIAL . Nextiva doesn’t just give you unlimited calling- they give you faxing too for the same price. This is something other providers will consider “advanced” and charge extra for. Just like Ring Central and Phone.com, Nextiva comes with the standard features for free, but then they offer other advanced features like HD voice, mobile apps, attendant consoles, call recording, conference bridging, voicemail to text, call queues, and voicemail to email. Office plans get inbound and outbound faxing for free and they even have call center plans. One of those features that stand out with Nextiva is their FailSafe feature and their inbound/outbound faxing capabilities – something not all VoIP providers include at no extra cost. To get the most out of your Nextiva, you can choose from the Office Pro for $19.95 per month, Office Pro Plus for $22.95 per month or the Office Enterprise for $29.95 per month. These are priced per user and depend on the number of users you need. eVoice offers competitive rates and a variety of plans to suit just about any company’s need. They are powered by j2 Global, which is one of the biggest communication companies in the country. One of eVoice's best standard features is their voicemail to email transcription – so you can read your voicemails in situations where listening to a voicemail just doesnt' work. eVoice also offers Web Conferencing for sharing your screen and collaborating in real time, as well as video conferencing with up to 4 video feeds at a time and up to 25 viewing participants. 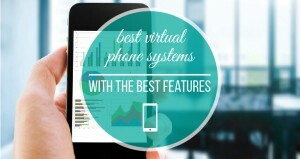 VirtualPBX focuses on business and technology. As a full-featured service provider, there are plenty of perks for choosing VirtualPBX for your company – regardless of size. 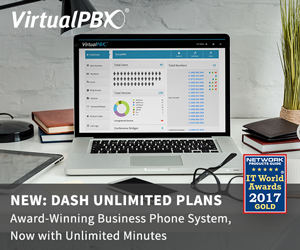 With VirtualPBX plans, you get unlimited minutes and up to 1,000 toll-free minutes – allowing your company to operate efficiently. The best feature about VirtualPBX is their true ACD queues. Not all VoIP providers (even those that advertise to offer call queues) offer true ACD queuing, but VirtualPBX does – setting them apart from the rest of the competition. Some other features you will get with Virtual PBX as your provider include on-hold music, greetings, do not disturb, call forward, virtual receptionist, 911 calling and toll-free numbers. Office Plans by VirtualPBX get you the most value for your dollar – and come with all of the features advertised. For one line you will pay $33.99 per month for unlimited minutes and 1,000 toll-free minutes. Plans can go as high as 100 or more lines, starting at $19.99 per month, per line for unlimited calling and 1,000 toll-free or conference minutes. Want 10 percent off right now? You can take advantage of 10 percent off with your Virtual PBX monthly rate just by purchasing through the Revuezzle site.